There is no sound reason for paying umpires, or any other person whose services should be provided on a volunteer basis. Our league historically has found successful ways to operate volunteer umpiring programs, helping to defray the costs that might normally be passed on to the parents. FNLL will provide equipment or uniforms to umpires to use in performing their service to the league. Frederick National will also offer many training materials, clinics and seminars on umpire education, as well as the Little League Umpire Registry. The registry allows volunteer umpires to receive regular mailings from Headquarters on rule interpretations, updates, etc. The intent of this Resource Center is to provide Little League Baseball and Softball Umpires with the tools they need to be effective and fair arbiters of the game, to provide leadership to children as well as managers and coaches, and to help train future volunteer umpires. This service is being provided at absolutely no charge whatsoever by Little League International. Any and all Little League Baseball and Softball Umpires are eligible to access any of the information in this Resource Center at any time they wish. It is just one of the many reasons Little League remains the largest, best, and most respected youth sports program in the world. We hope all umpires, novices and seasoned veterans alike, will be able to learn from this Resource Center. And be sure to check back often as the site is updated. 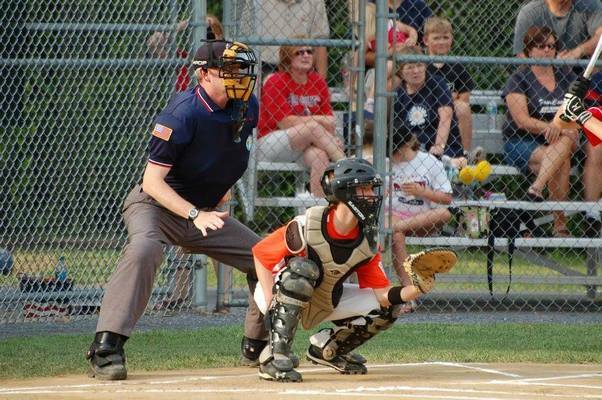 The Maryland State Umpire Association (MSUA) is a representation of volunteer Umpires committed and dedicated to officiating Little League baseball and softball games/activities across the State of Maryland and the District of Columbia; MSUA is endorsed by both Little League International and the Little League East Region.